May 21, 2015 by Ecommerce News. About Trustmarks with tags Hungary. 666 views. 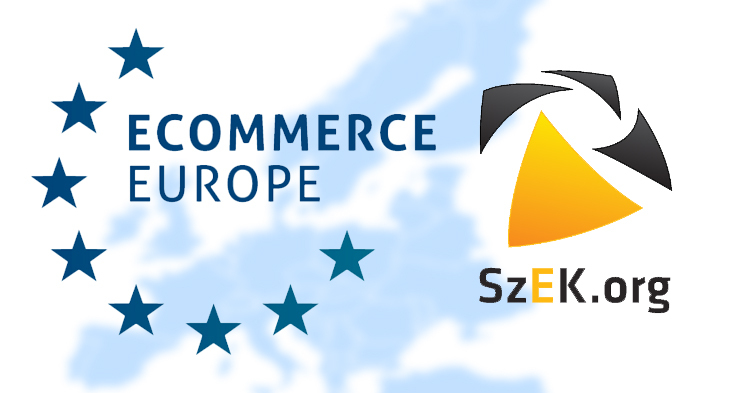 SzEK.org, the national ecommerce association in Hungary, has joined Ecommerce Europe. The umbrella organization says to be delighted to welcome its new member. According to François Momboisse, president of the board of directors, Eastern Europe is an important emerging ecommerce market and with this membership they will be able to put forward the interests of the ecommerce sector even better. Zoltán Ormós, chairman of SzEK.org, explains on the website of Ecommerce Europe, that the ecommerce association has kept as a strategic priority “the development of international partnerships with similar organizations that also contribute to the creation of seamless cross-border ecommerce in their countries or regions.” By joining Ecommerce Europe, developing such partnerships is of course a lot easier. Estimates are the ecommerce industry in Hungary was worth 930 million euros last year, when its turnover grew by 24 percent. That makes Hungary the fastest-growing ecommerce market in Central Europe. And it will probably keep on growing, as ecommerce nowadays only represent 0.90 of the Gross Domestic Product in Hungary last year. SzEK.org, short for Szövetség az Elektronikus Kereskedelemért, was founded in 2005 and currently has 241 members. Just like any other national ecommerce association SzEK.org wants to facilitate the spread of modern, economical and reliable forms of ecommerce in their country.